One 14 karat white gold bar brooch. 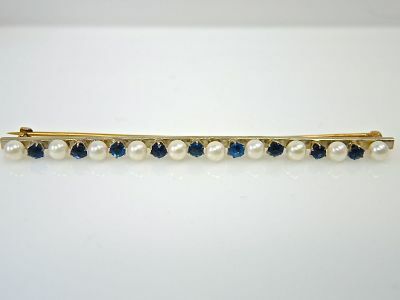 Ten cultured pearls (4.25 mm- 4.3 mm). Nine blue sapphires (1.70 carats).